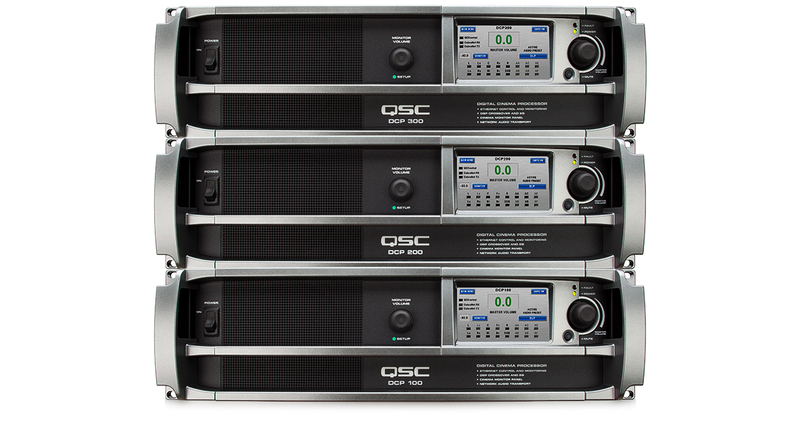 QSC Cinema digital signal processors and booth monitors provide all of the functionality you need to set-up, equalize, monitor, and control the entire cinema sound chain. The DCP Series offers up to 16 channels of digital and 10 channels of analog inputs coupled to up to 28 analog outputs on 3 rack units. In addition 2 S/PDIF (RCA) inputs are available for multi-purpose audio. Each of the 8 main channels (7.1 setup) includes 28 bands of 3rd octave equalization, an individual parametric equalization, channel gain control and individual Bass & Treble controls as well as crossover filters for screen channels. It also includes a global delay for each preset (0-420ms) and a separate channel delay. 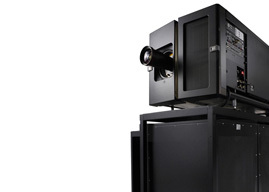 Some models also feature a CobraNet audio networking solution.